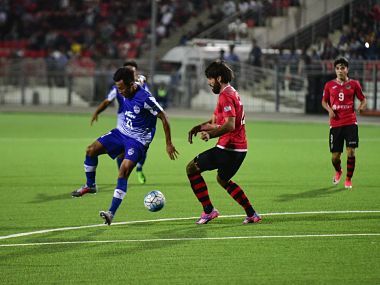 Hisor: Bengaluru FC suffered a 0-1 defeat at the hands of FC Istiklol of Tajikistan in the first leg of the Inter-Zone Finals of the AFC Cup football at Hisor on Wednesday. 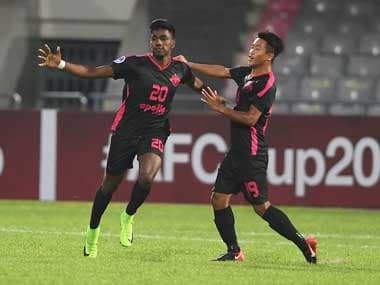 The visiting side survived an incessant onslaught from FC Istiklol, the 2015 champions, but the home side's profligacy in front of goal saved Bengaluru from losing the match by a bigger margin. For most part of the match, the Bengaluru were left to defend their citadel and the matter got worse as the backline of Albert Roca's side committed several mistakes. Bengaluru now host Istiklol in the second leg on 18 October. This year's final will be played at the home venue of the Inter-Zone Finals winners. So, if Bengaluru make it to the grand finale, it will be played in Bengaluru.